I remember being very young and sitting quite close to the television to watch. It was around that time that my parents realized that I needed glasses. What a difference that made in my television watching experience. But beyond that, I grew up way back in the woods. When I say way back, I mean it. We got four television stations and one was on two of those channels (10 and 13). We also had 3, 6, and 8 (PBS). That was pretty much it. Changing channels on the one television set in the living room wasn’t as easy as clicking a button. I’m going to show my age here. We had to get up, walk over to the massive console television, and turn a knob. After the knob had been turned, there was the matter of adjusting the antenna outside. This normally became a two person task. One person would stay inside and look at the set while the other person went outside and turned the antenna until the set became clearer. Needless to say we didn’t change channels much during the winter or in the rain. Whatever was on you either watched it, or found a book, or went to your room to play. Needless to say, I did do a lot of reading and playing, though I did get exposed to a wide variety of television available in the ties. We couldn’t afford to go to the movie theater often and the first movie I saw in the theaters was The Empire Strikes Back and I didn’t see many after that. I think that’s why I’m so content to wait and watch a movie on television. Instead we’d watch whatever movie might be on that night of the week. Annually we’d watch the classics. 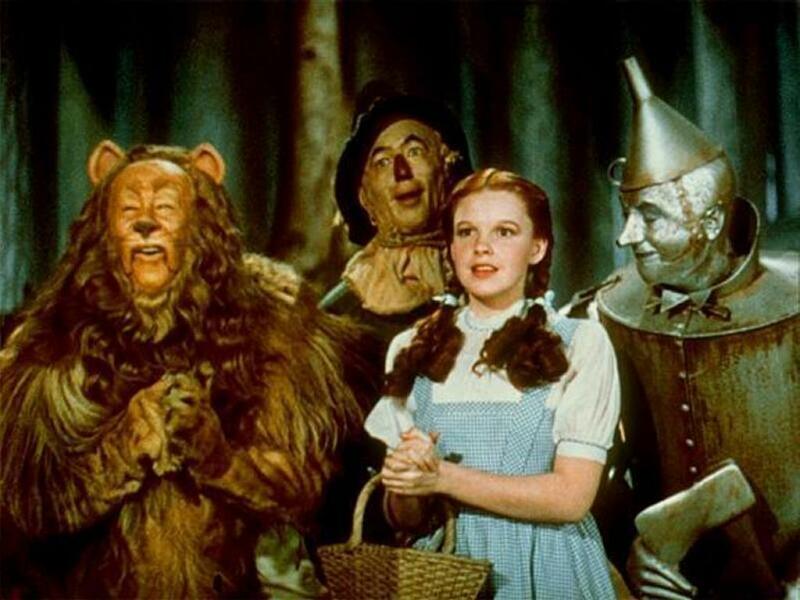 The Wizard of Oz came on once per year and we always watched. There were also the annual Christmas classics and we planned out night accordingly so we could sit and watch from beginning to end and get ideas for our Christmas lists. Even the Charlie Brown movies came out the same time each year. What I really remember was getting up early on Saturday morning to watch cartoons. I would watch as long as I was allowed so in order to watch as much as possible, I’d get up early. Cartoons usually started around 5am with the kiddie shows and went into shows intended for older kids. 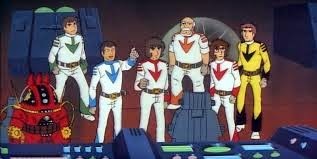 My favorite of this era had to be Star Blazers. Sure I’d been watching cartoons for years, but when this show started it was different. This wasn’t the same animation style as Looney Toons, or Popeye, or any of the Disney classics. This looked more real. It had things happen and people might die. Sadly this show came on late in the day and I would often miss episodes to go out and do chores, so it wasn’t until I was an adult and acquired the DVDs was I able to watch the entire series from beginning to end. I try to impress upon my daughter how things were back in my day. Today she can DVR her shows and watch pretty much whatever she wants whenever she wants. Sure I benefit from this as I don’t have to suffer through her shows, but it makes me wonder if children’s imaginations aren’t stunted by watching the same shows over and over with no real variation. For this, I force my daughter to watch one of my shows from time to time. I don’t make her watch things I know she won’t like, but it’s neat to watch a show with her and get her reaction rather than watch her just gaze mindlessly at whatever Nickelodeon or Disney has to offer. J.R. Murdock is an avid reader of almost anything he can get his hands on. That being said, he also writes with near reckless abandon in any and every genre. His style is intended for pure entertainment. Over the years he’s written nine novels and over one hundred short stories. 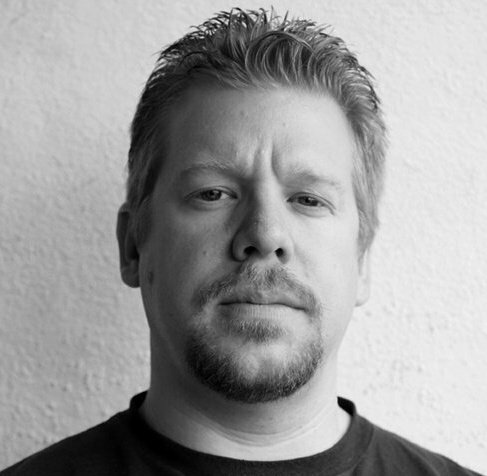 Only a few short stories have seen print (in actual print and on the web) so he’s decided to throw his hat into the podcasting arena with his novel V & A Shipping. Since then he has also podcast his novel Billy Barbarian and released his YA novel Astel: Chosen, not to mention the great short stories he's podcast in his Murdockian Tales series. Find out more at http://www.jrmurdock.com/. Also from J.R. Murdock look for the Action Pack Podcast at http://www.actionpackpodcast.com/. There he'll be spinning a serial western steampunk tale. The podcast and eBook formats drop once a month starting this February. When not writing like a mad-man, J.R. Murdock does have a day job as a computer programmer and loves to spend time with his lovely wife and beautiful daughter.